2017 will be a big year for H.265 on your home computer. The H.265 format, often called HEVC is being adopted as the new standard, particularly at the commercial level, and video creators/editors are slowly but surely being required to use it- especially for a little thing called 4K video. 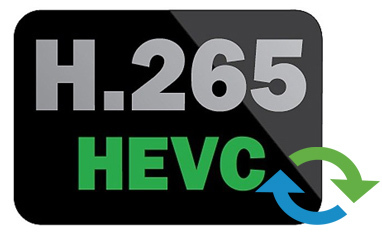 If you decide to spring for H.265, take a look at the top 3 H.265/HEVC encoder and decoder, which can help you encode/decode H.265 files in real time quickly and reliably. How to encode your own HEVC video? Encoding with HEVC is, as explained, much more demanding than other video codecs. You’ll likely find that your videos take many times longer than before, and real-time encoding is virtually unheard of with home PCs. With that said, switching from an older standard to H.265/HEVC can substantially reduce the file size of your video library. It can also make streaming between devices easier. What can decode HEVC video? Any computer can decode H.265 using software (in theory, at least). All that’s mandatory is software capable of handling H.265 and a file or stream encoded in it. However, most systems that might choke on decoding a 4K HEVC stream or file can’t output 4K. A professional convertor for H-265 videos. Dimo Video Converter Ultimate for mac is nothing but an startling collection of features and tools that let you convert H-265 videos as easily as you can imagine. It’s an easy-to-use, powerful yet professional Video Converter app for all Mac users. Better still, Dimo Video Converter is much more than just a simple convertor. Let us see what other amazing features does this piece of program has to offer. * You can convert H-265 videos into almost any format you can think of such as WMV, MP4, MOV, MKV, AVI and much more in SD/HD. You can convert any other formats of SD/HD videos as well. * Convert H-265 Videos to Fully Compatible with Various Editing Software, like iMovie, Final Cut Pro, Avid Media Composer, Adobe Premiere and more. * With the smart H-265 video converter for Mac, you can effortlessly convert your H-265 videos to online video sites supported formats: YouTube, Vimeo, Facebook, FLV, SWF, F4V, WebM. * You can rip H-265 Blu-ray to other formats and devices, and make full H-265 Blu-ray copy with anything loss. Note: HandBrake is busy updating all its components and smoothing out the bumps in the road, but it’s a work in progress, so you may not see the same results you would in something like Brorsoft. Cinemartin Cinec is a multi video encoder for windows. It is proud to release a plugin for various NLE editors, initially for Adobe Premiere Pro, that allow users to export sequence timeline to all versions of prores and to HEVC H.265. You can convert videos from several video formats. Quality is the top of the software, that accommodates fast processing capabilities, featured in a software that allow multiple CPU cores to be dedicated to encode. With the highest quality as professionals demand, cinec also allows, in a simple way, Cut or split videos instantly with or without encode (no re-encode). Notes: Based on our testing and our users’ feedback, this H.265 encoder/decoder is not so stable when working the H.265 videos. On the hand, the video quality seems to be a little influenced with the output ones.